A horse’s ears are amazing. It isn’t necessary for a horse to turn his/her head towards a sound, s/he can turn the ears to pick it up. You can tell a horse’s mood by the ears – anger, fear, curiosity, friendliness and so on. The structure of the equine ear includes the ear flap (pinna), the ear canal shaped like a cup (external auditory canal), the bones of the middle ear (ossicles), the eardrum (tympanic membranes). The pinnae collect sound waves and send them to the external auditory canal. The ossicles then transmit the eardrum’s movements to the inner ear. In the inner ear, made up of the auditory nerve, cochlea and labyrinth, the waves become nerve impulses and are sent to the hearing center in the brain. While it sounds time consuming, this all takes place very quickly. 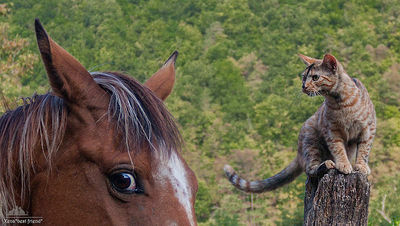 A horse’s ears are similar in structure to other animals such as dogs, but they are not susceptible to many problems. However there are a few that you should be aware of. Insect-Induced Dermatitis is sensitivity to gnat and midge bites. 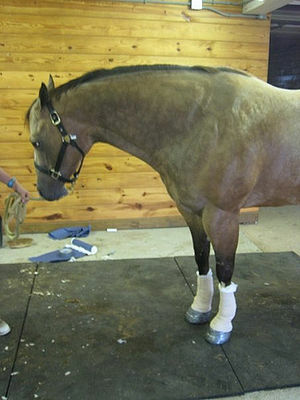 Ears can become inflamed, but most can be managed with topical medications and insect protection for the horse. More severe cases may require oral medications. Ear ticks can attach themselves to the ear flap or the ear canal. An infestation of ear ticks requires veterinary care and the horse will have to be sedated for cleaning and medication to be applied. If an infection results, oral antibiotics and steriods are administered. Infections sometimes occur in the gutteral pouch which is located at the base of the ears. Your vet will use an endoscope through the horse’s nose to check the pouch. Strangles, a common bacterial infection which can occur is serious and can be chronic. It needs veterinary treatment. Sarcoids which are non-cancerous tumors can sometimes disfigure the ears. Sarcoids can be treated by surgical removal, freezing and/or treaating with chemotherapy agents. Ear teeth (dentigerous cysts) generally occur in young horses, but fortunately are rare. They are usually seen at the base of the ear and require veterinary treatment. 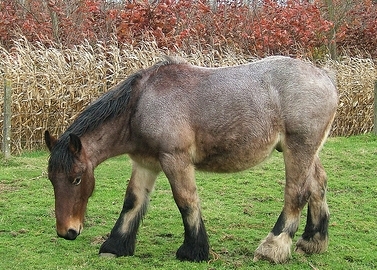 Deafness is rare in horses although with age, hearing loss can occur. 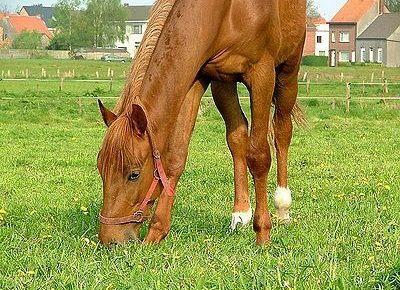 If your horse’s ears droop or you notice any other unusual signs, it’s time to call the vet and have the horse examined for any problems. Keeping your horse protected from insects can help avoid many conditions.